I had a lactation consult with a new mom in Chatham last week (but it could easily have been the week before that in Plymouth, or a few days before that in Sandwich), and as I got to know her (she wasn't a birth client of ours), parts of my conversation with her were horrifyingly familiar. I always, always ask how birth went when I am working with a breastfeeding dyad, for several reasons: 1. It affects how breastfeeding goes. A difficult birth experience can set the stage for a rough beginning to breastfeeding. 2. It affects the birthing parent's state of mind. If you've had a difficult birth experience, it can be hard to feel positively about parenting in the beginning. It can even make it harder to bond with your baby. None of these things are irrevocable, of course, but it's important to know how the parent is feeling about their experience, and 3. it can signal risk factors for medical concerns that I would need to give referrals for, such as postpartum mood disorders, delayed onset of mature milk, and others. Suffice to say, it's an important question to ask. And this mom burst into tears at my question. She told me that her birth experience was really hard for her, that she felt no one listened to her and felt totally out of control. She felt that birth was a thing that had been done to her, not a thing that she had done. I tried my best not to, but I cried with her a little because I know that feeling intimately, and we talked about all the ways to get some help, support, love, and encouragement in her daily life. How to create a safety net so that she wouldn't feel so alone. And I have to admit that I left that visit feeling angry. Not at the mom, of course, but because this is a story I hear so often. Americans tend to be woefully underprepared for their birth experiences. Partly because we live in a culture that tells us we should be so terrified of birth that we are scared out of talking about it, partly because we live in a culture that reassures us that our caregivers will take good care of us and we should let them make all the decisions, partly because we live in a culture that doesn't value birth as a formative experience in our lives. Most Americans do more research before they buy a vacuum cleaner than they do before they choose the care provider who will help them bring their baby into the world. That, or they try to do research but don't have access to good information. And the system that supports this frustrates me. So if you are (or if you know) a pregnant person, this is for you. This is how to set yourself up for the best birth experience possible. And when I say that, I don't mean that you will get exactly the outcome you are hoping for; anyone who says they can guarantee that is selling you something. But it means that you will be well-prepared to have a birth where you are heard, where you are empowered, where you are a key part of the decision-making process. Where you can feel like you made the best choices you could, given any circumstances. Where you are supported and held. Because that's what we want for every birth-giver in the world: to be seen and heard, to be respected and treated as a human being with dignity and wishes, to understand the things that are happening to them. We all deserve that. Yes, classes in the plural: a birth preparation and a breastfeeding preparation one if you are planning to breastfeed. I know, I know you are busy. And they cost money. BUT you only get to birth this baby one time, with your one body, and as a birth professional, I can tell you that knowing what is going on inside your body, understanding the hormones that make all this work, and having someone to answer your questions and respond to whatever anxieties you may have is SO SO worth it. If you have friends and family planning a baby shower, maybe ask them to pitch in for this (and step #3!) instead of buying baby gear that you likely won't use. You can also ask your insurance company if they'll reimburse you for the cost of prenatal classes; many will if the instructor is certified. Also, a word to the wise on this one: if you can find someone near you who is a certified childbirth educator, take an independent birth class. As someone who's taught hospital birth classes, there can be a certain amount of pressure to prepare folks to be 'good patients' for the hospital. It's a pressure that I resisted as much as I could while still keeping my job (and I know many other hospital-based educators do too), but it's there. And yes, take a breastfeeding class. Trust me; a good breastfeeding class will prepare you with what you really need to know. Breastfeeding is a natural process, but we live in a culture where it's not normalized. Knowing how it works and setting yourself up for a good experience is more useful than buying a nursing pillow. 2. Start talking about your birth early and often. With your birth team, that is; random strangers in the grocery store miiiiight not be the most helpful. When you are choosing your care provider for pregnancy and birth (yes, on the first visit! ), start asking about their philosophy around birth. 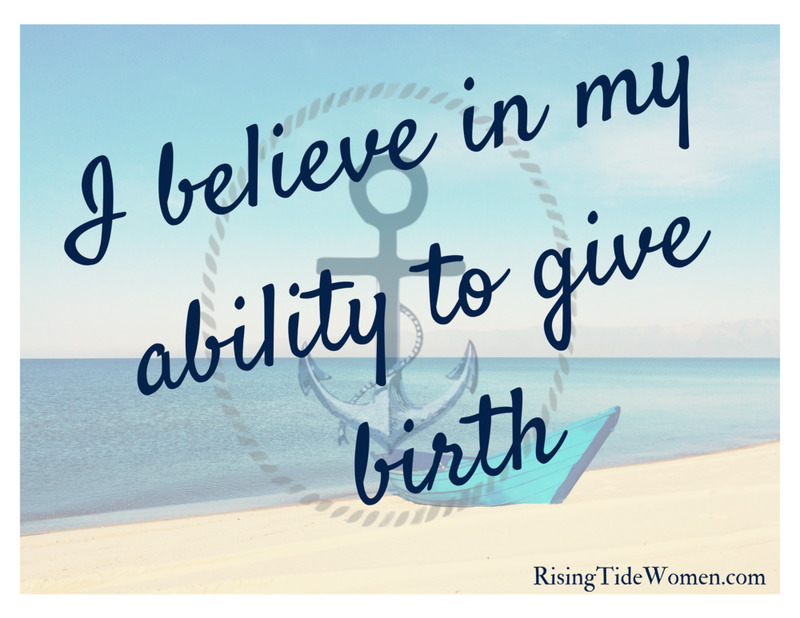 Start asking how many of their patients have the kind of birth you are envisioning. If you haven't done this, start now. Ask lots and lots of questions. If you find you aren't getting the answers you want, it's never too late to switch care providers. Talk with your partner or support person; they need to know your wishes around birth, and it's important for your whole team to be on the same page. 3. Consider hiring a birth doula. If you haven't heard of a doula before, you are in luck! You can read more about what birth doulas do here and here (and the non-g-rated version here). Basically, your birth doula is someone who is professionally trained and certified to support you through pregnancy and birth, whose only job is to help keep you as calm, comfortable, and informed as possible. Doesn't that sound awesome? Sometimes people worry about the doula edging the partner or support person out of the process, but I can assure you that that is not a thing with a good doula; they want to make sure your partner is included and cared-for too. And doulas are not just for folks who want to give birth in a waterfall, surrounded by dolphins and assisted by fairies. They're for any birth-giver who wants to feel supported and loved on and informed. Whether you are having a scheduled cesarean birth, an epidural, a waterbirth, or whatever else you can think of, a good doula will support you toward reaching YOUR goals, whatever they may be. And if you need more convincing about how awesome doulas are, here are some great statistics: doulas improve outcomes. If there were a drug that did the same thing doulas do, it would be unethical not to give it. 4. Consume your media carefully. We have SO much media aimed at pregnant folks, and most of it is designed to do exactly one thing: create drama around birth. It's not designed to provide an accurate picture of how birth goes, or teach you coping methods to get you through. JUST FOR DRAMA. If you are watching any of the 'reality' TV shows about birth (you know the ones I'm talking about), please stop now. Instead, I recommend Happy Birth Day, or even a quick youtube search for 'positive birth stories'. Watch these. Pay attention to how the birthing parents cope with labor. Pay attention to the fact that they are working hard, they are having pain or discomfort, but they are not suffering. There's a big difference. And remember: you won't have a birth that looks just like any of these, because no two births look alike. Yours will be your own. I am recommending these not to set expectations, but to steep you in positive images of birth to soothe your pregnant soul and reassure you that it doesn't have to be a scary experience. Above all, don't panic. We live in a culture where the overriding message that we get about parenting is: however much you're panicking... it's not enough. Panic more. And that narrative damages families. The reality is that you don't have to do everything exactly 'right' (whatever that means). Get a good birth team on your side, do your learning and make your plans, and then try to trust the process. I know that this is easier said than done, so I'm going to give you some strategies to help you get there: take a few moments to check in with yourself daily. It doesn't have to be a long time or anything fancy, just sit quietly in a comfortable spot and listen to your breath. And then connect with your baby: say hi, rub your belly, breathe some love down to that being that's growing inside your body. Once you've done that, ask yourself how you are feeling about your upcoming birth. Do you have any lingering anxieties about it? Particular things you are nervous about? If not, great. Send some positive energy down to the birthing parts of your body and move on with your day. If you do, take a moment to sit with those worries and honor them. And then make a plan for addressing those worries: who will you talk to about them? If you are worried about pain, call your doula or research some coping methods for labor. Make a plan for how you will cope with it. If you are worried about your baby, call your doula or your care provider. They will be able to reassure you and talk you through it. But don't stuff those worries; see them, honor them, and then make a plan to conquer them or to keep yourself calm and not let them conquer you. Remember: you got this. We believe in you.